If you are seeing this screen, the opt-out process was completed successfully and your browser will indicate you have opted out of enhanced online display advertising provided directly by Free People. 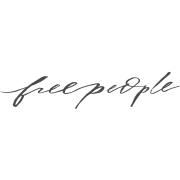 You may still receive marketing promotions from Free People through our third party service providers. Please visit the Network Advertising Initiative (http://www.networkadvertising.org/choices/) or your applicable Digital Advertising Alliance to learn more about the use of this information by third-party advertising companies or to choose limited use of this information by opting out of interest-based online advertising. © 2019 Conversant, Inc. All rights reserved.